Wednesday in Boston, where 10 or more electronic devices that had been placed at various locations sparked enough concern to bring out the bomb squad. Even the governor of Massachusetts was irritated by the campaign, which led to temporary shutdowns of subway service, some streets and part of I-93. BEIJING, Feb. 1 (Xinhuanet) -- The mysterious packages that shut down traffic, bridges and a section of the Charles River and threw Boston into a tizzy Wednesday turned out to be illuminated electronic devices that were part of a promotion for a late-night cable surreal cartoon program, not bombs. The devices, planted at bridges and other locations, promoted a Cartoon Network program named "Aqua Teen Hunger Force," whose main characters are a talking milkshake, a box of French fries and a meatball, according to Turner Broadcasting. Most of the devices depicted a character making an obscene finger gesture. 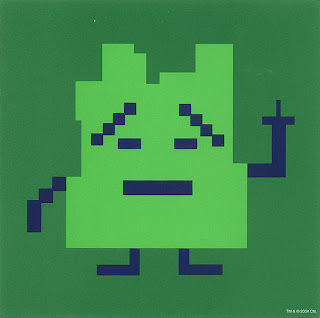 Aqua Teen Hunger Force (a.k.a. ATHF) is an American animated comedy shown on Cartoon Network as part of its Adult Swim late-night programming block. The series features three anthropomorphic fast food items�the Aqua Teen Hunger Force or Aqua Teens�who are supposed to be detectives. As the series progressed, the crime-solving aspect of the show was quickly abandoned, although many episodes still involve villains. There is also little emphasis on continuity between episodes: virtually all of the recurring cast members have died at least once. The focus is instead on character interaction and a pervasive form of brutal, ironic humor. By the end of the 1980s, Ted Turner's cable-TV conglomerate had acquired the MGM film library (which included the older catalog of pre-1948 color Warner Bros. cartoons), and its cable channel Turner Network Television had gained an audience with its film library. In 1991, it purchased animation studio Hanna-Barbera Productions and acquired its large library. Cartoon Network was created as an outlet for Turner's considerable library of animation, and the initial programming on the channel consisted exclusively of re-runs of classic Warner Bros. and MGM cartoons, with many Hanna-Barbera TV cartoons used as time fillers. Most of the short cartoons were aired in half-hour or hour-long packages, usually separated by character or studio—Down With Droopy D aired old Droopy Dog shorts, The Tom and Jerry Show presented the classic cat-and-mouse team, and Bugs and Daffy Tonight provided classic Looney Tunes shorts. Today, only Tom and Jerry remains on the network.